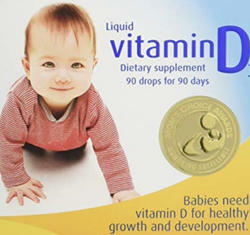 Kidicare Drops provide optimum nutrient care for all round development of infants. - Accurate in composition and highly reliable Multivitamin Syrup is what we offer. It is prepared by skilled and experienced staff under the supervision of experts. Our Multivitamin Syrup provides the most favorable nutrition to body. 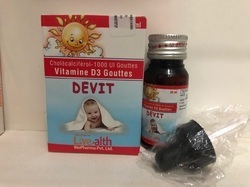 Natural energy drops are a formulation made with international natural herbs that is specially manufactured in order to enhance the energy levels of human body. These drops are highly recommended for those who feel weakness throughout their work. These drops are highly effective in making you energetic and fresh for the whole day. These are also helpful in enhancing your body stamina. Multivitamin contains a unique blend of internationally recognized herbs loaded with vitamins and minerals along with ingredients such as lycopene and lutein that help to support overall health and well being. Wood betony is obtained from remote areas of southern Mexico. It has been has been traditionally used to support the nervous system, promote relaxation and calmness. It is loaded with antioxidant polyphenols which has so many health enhancing properties. Riboflavine Sodium Phosphate I.P.equi to Riboflavine Niacinamide I.P. Ascorbic Acid (Vitamin C Plain) I.P. D – Panthenol I.P. Pyridoxine Hydrochloride I.P. Zinc Gluconateequi. to elemental Zinc U.S.P.